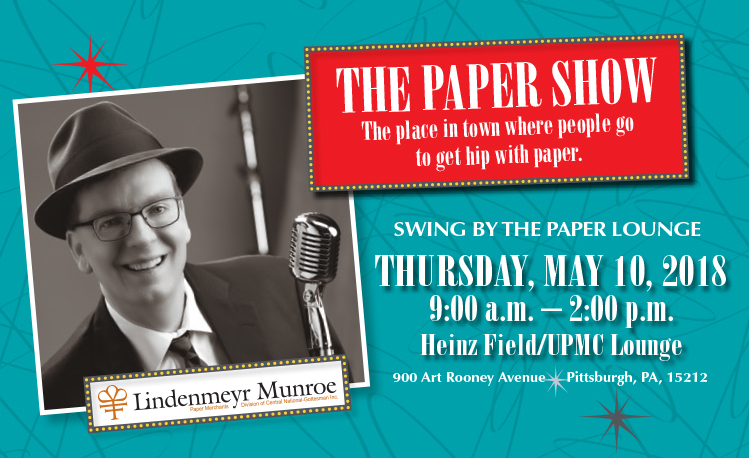 The Paper Show: The place in town where people go to get hip with paper. One of our favorite annual events to go to (especially our Art Director, Nina) is the Lindenmeyr Munroe Paper Show. 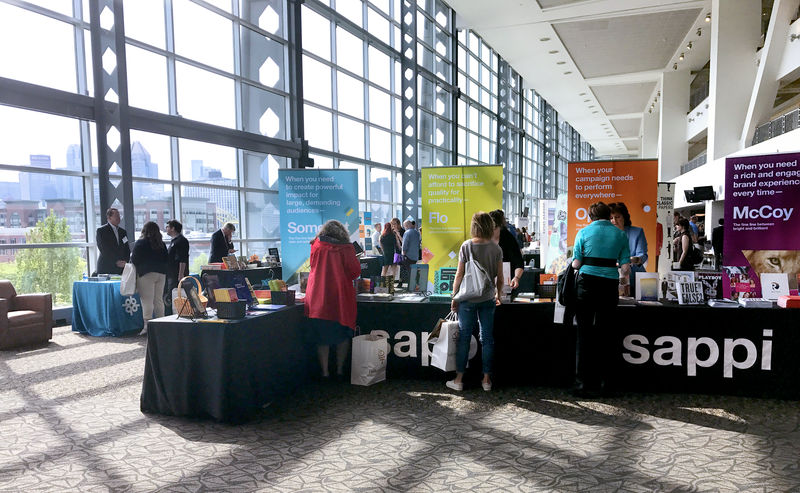 This year it was held at the Heniz Field/UPMC Lounge with dozens of Paper vendors from Pittsburgh as well as across the US – with paper companies like Neenah, Mohawk, Sappi, even Lindenmeyr Munroe’s own, the show has a plethora of samples to look at (and grab)! 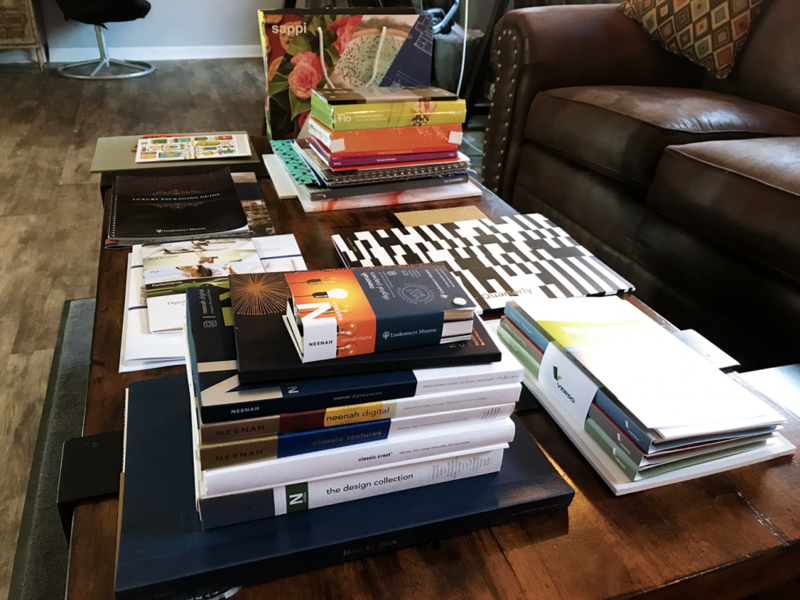 We love to going each year to the Show to bring back a couple bag’s worth of samples to share with our clients for new and unique ideas. 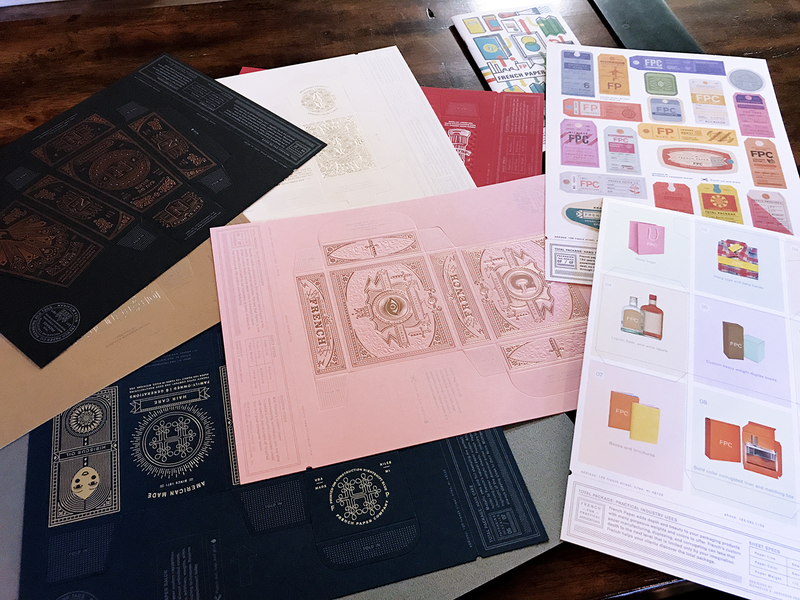 Being able to see and feel paper samples in person is the best way to design. And, with many of the vendors detailed samples, you can a realistic look at how a print piece will actually produce! While we didn’t have a chance to see and grab all the print samples, we do have a ton of new and great pieces! Check out the 14 photos below and get excited for print! 1. All of our brand new samples! 2. 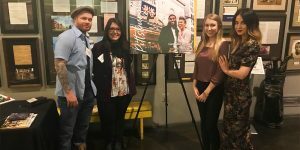 Neenah Paper had a fantastic selection of papers, plus unique ideas! 3. 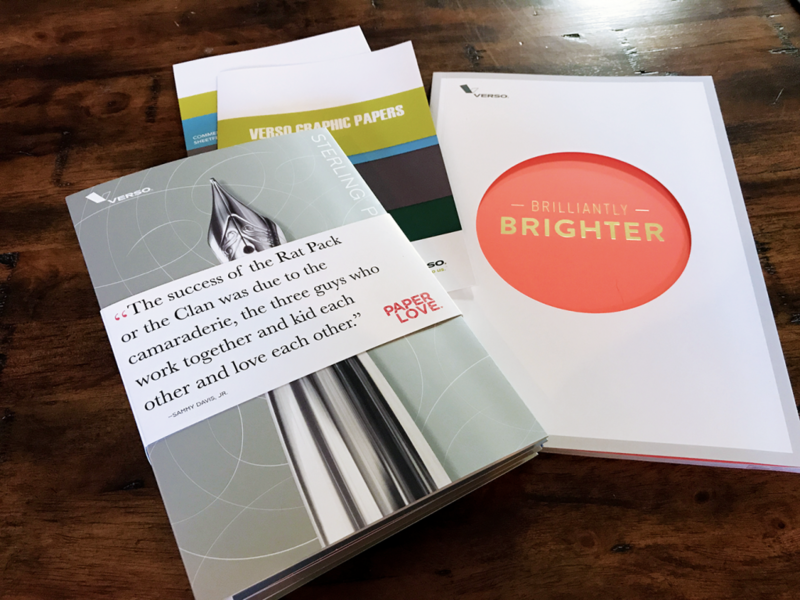 Neenah Paper also had an awesome Real Estate focus sample pack. 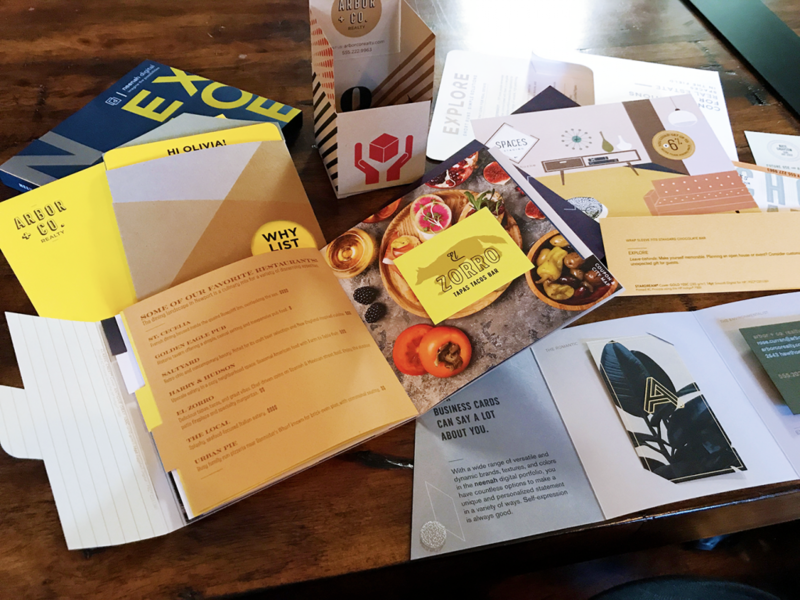 Great direct mail and open house pieces! 4. 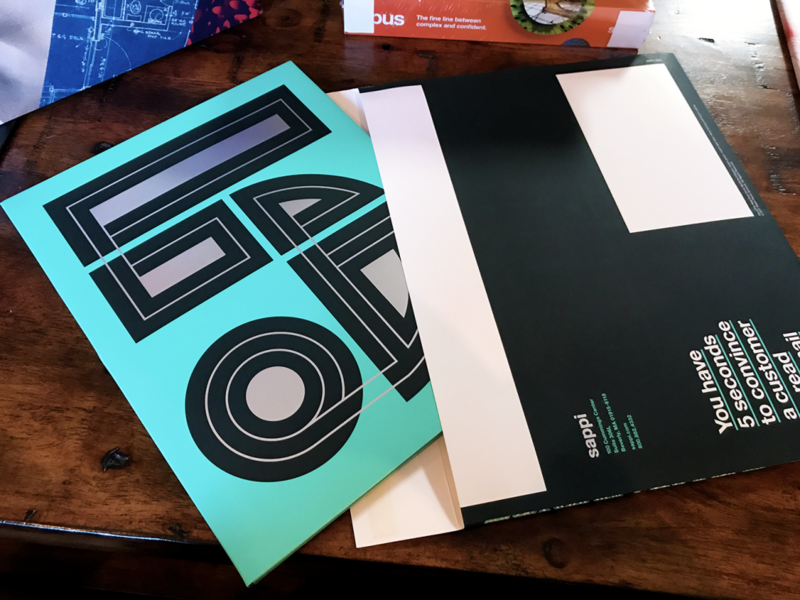 Paper Samples and full book by Verso. 5. 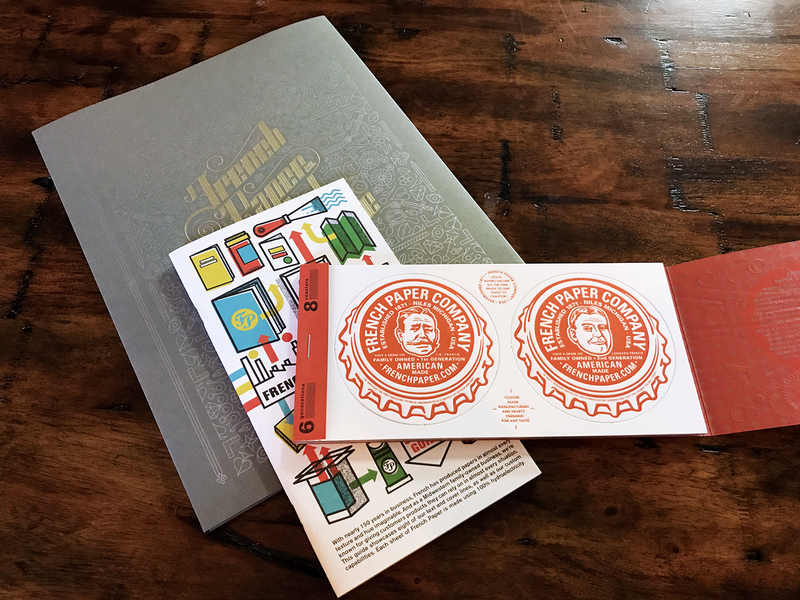 Mohawk’s “Maker”, a Quarterly piece with a new theme each quarter. This time they opted for a perforated cover that reveals a silver foil and the rest of the piece! 6. A quick look inside Mohawk’s Maker piece. 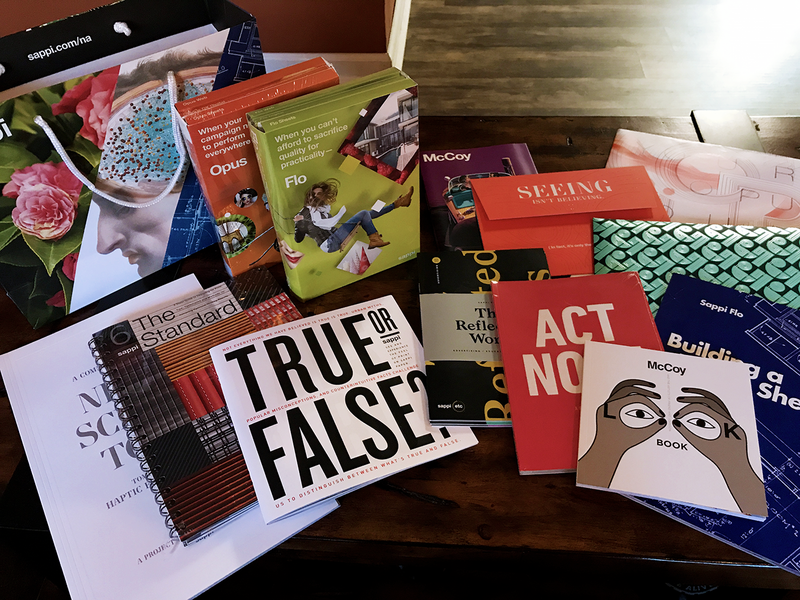 includes a small book, as well as imbedded book and a folder flap! 7. Gorgeous Letterpress by French Paper Company. With a book of coasters! 8. More great samples from French Paper – gorgeous foils! 9. Sappi had a ton of samples this year – and I grabbed almost all of them. 10. Eye-catching spot custom silver + spot gloss varnish + spot dull varnish in this “The Reflected Works” Series sample by Sappi. 11. An absolutely gorgeous Sappi piece with spot soft-touch coating, spot raised UV coating, and a unique fold that opens up from an envelope! 12. Secret Messages from Sappi? Spot varnish + reticulating varnish + gloss sample coating + soft touch coating = a unique piece! 14. 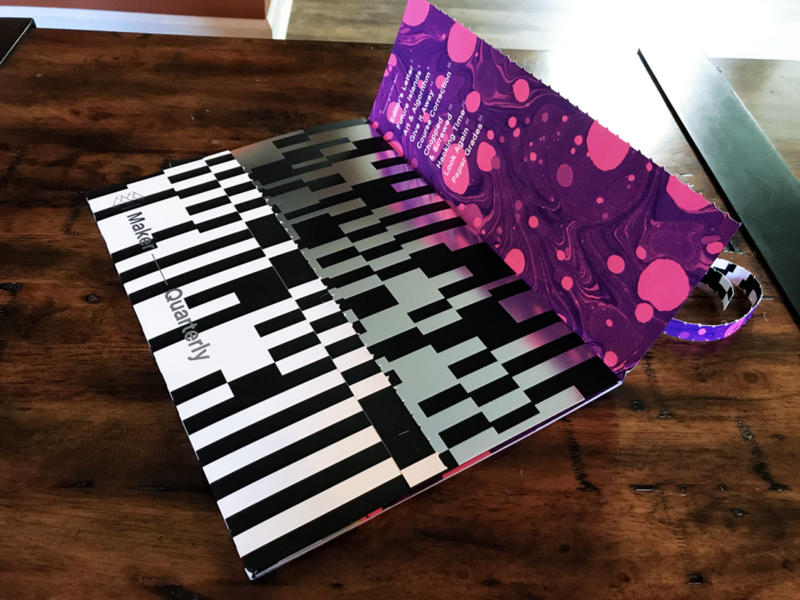 Every inch of black is soft touch – definitely getting noticed when you get it in the mail, especially with bright colors and foils. You’ve gotta see this in person – especially when you open the brochure up! 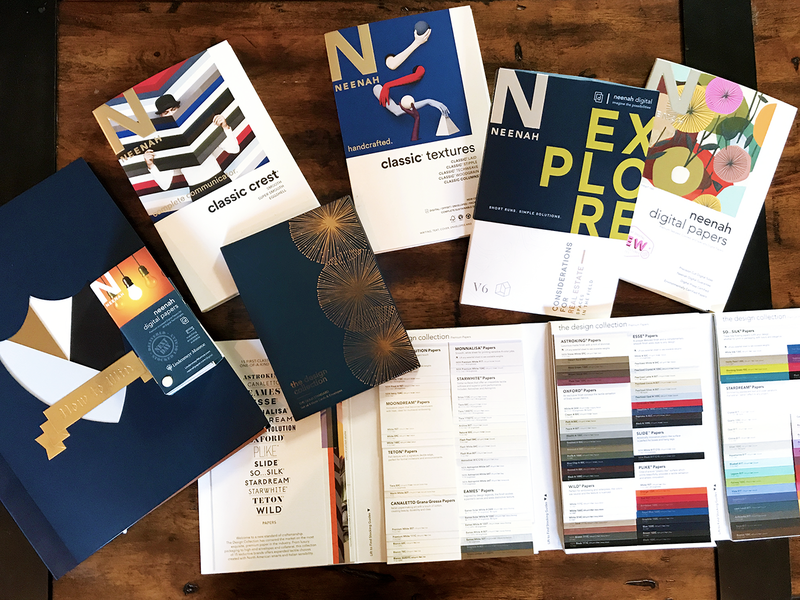 We’re already excited to go to next year’s Paper Show (and can’t wait to see the theme)! 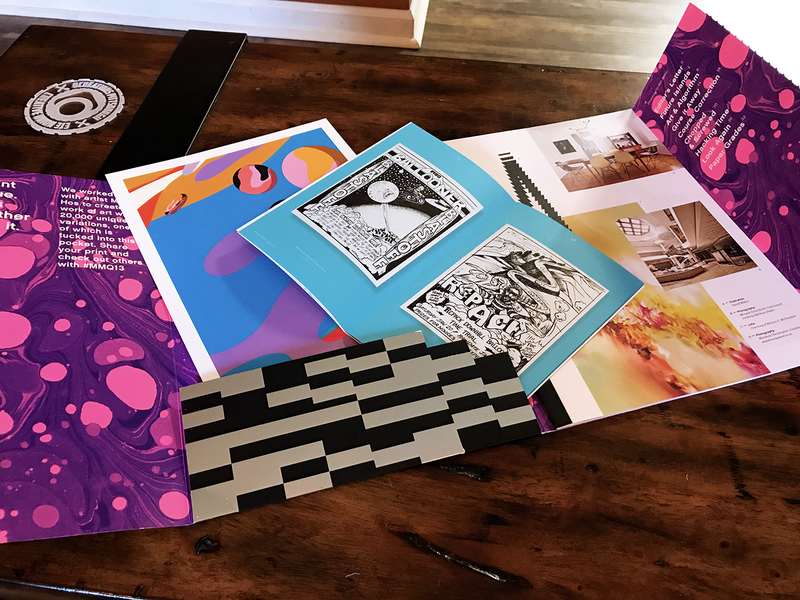 Looking to get inspired for your next print project? 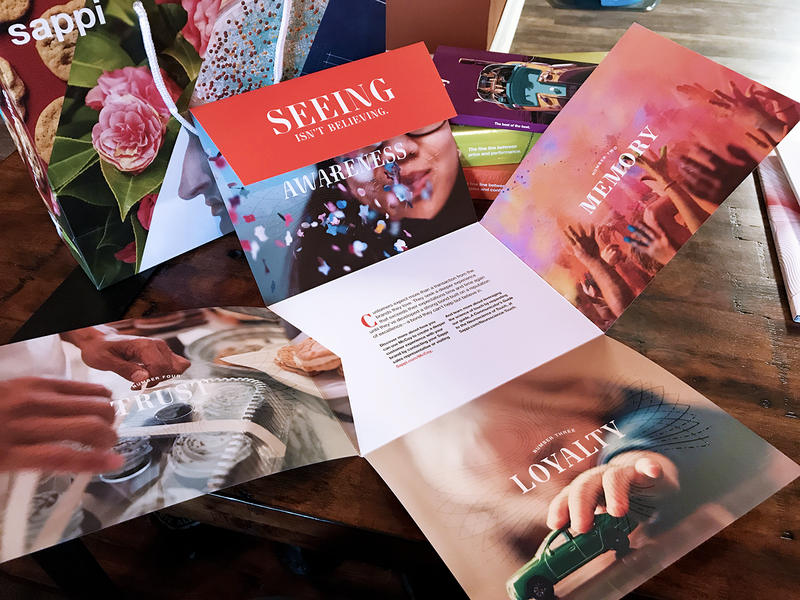 We’ve got a bunch more samples, plus our very own Print portfolio, with even more unique projects on their way – will yours be next?